The U.S. Attorney’s Office for the Northern District of New York recently announced indictments of ten individuals for their roles in an East Coast heroin trafficking ring. Three of the defendants hail from Annapolis, which officials allege is where the heroin began the journey to its final destination in Schenectady, NY. After arriving in this suburb of Albany various New York based co-conspirators allegedly packaged the drugs and sold them in the Plattsburgh area, just a few hours drive from the Canadian border. The defendants vary in age, but each is under 35, and one was actually a state corrections officer until his arrest back in June. The three Maryland based defendants are all under the age of 30, with the youngest being just 19. This teenage defendant now faces between 5 and 40 years in federal prison, with the 5-year number representing the minimum mandatory sentence that must be imposed should he be convicted. The other local co-conspirators include a 24-year old male who is facing a drug trafficking sentence of 10 years to life, and a 28-year old female who is facing up to 20 years for conspiracy to distribute narcotics. The 24-year old defendant is no stranger to the Maryland state judicial system, as he pled guilty to CDS possession with intent to distribute in Anne Arundel County back in 2012. His probation was violated shortly thereafter and an 18-month jail sentence followed. In addition to the federal indictment, the 24-year old is also set for an August trial date in Annapolis for numerous drug charges stemming from two separate state court cases. 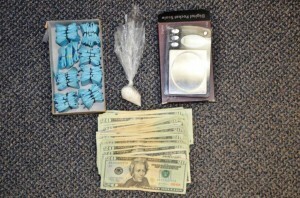 These charges are all drug related, and include distribution of narcotics and CDS possession of a large amount. The other Annapolis based defendants have relatively minor criminal records, which include two cases where each charged the other for assault. Prosecutors will likely end up dropping these cases, as the pair could assert their mutual 5th Amendment rights and choose not to testify. Regardless of what happens in these assault cases the defendants clearly have bigger issues to deal with up north. The announcement by the Northern District of New York that a large heroin trafficking ring originated right here in Anne Arundel County came just as the governor announced 2018 allotments for the emergency opioid abuse funds. Last year the governor pledged $50 million to battle the record breaking heroin and fentanyl overdoses, and the money will be dispersed over the course of 5 years to various state and local agencies. The majority of the cash next year is going to inpatient treatment programs, naloxone supplies, public awareness platforms for opioid abuse and law enforcement efforts to dismantle drug trafficking rings. Baltimore City has been hit especially hard by drug overdoses, and the state has responded by allocating $2 million for a city crisis center. The Blog will continue to monitor this federal case and other state cases related to drug trafficking. We anticipate more drug busts making news headlines in the coming months as law enforcement agencies will be eager to show the governor the funding is being put to good use. However, it remains to be seen whether the emergency funding will begin to reverse the overdose numbers that are sadly trending in the wrong direction. Police departments, lawmakers and even the governor have made combatting drug overdoses a major point of emphasis over the last few years. Many law enforcement agencies are training their officers in overdose recognition and equipping them with overdose prevention drugs. Police are now responding to the scene of a possible overdose with the mindset that their first call of duty could be saving a life rather than making an arrest. Lawmakers are tying to do their part as well by creating legislation aimed at punishing drug dealers whose product causes a death, and attempting to protect those who offer aid to overdose victims. The governor has always taken a hardline stance against heroin, highlighted by his recent declaration that opioid use is now in an official state of emergency warranting an additional $50 million in resources. Numerous citizen based community organizations have also joined forces with the government in this battle, but despite their best efforts the overdose numbers are heading in the wrong direction. According to data recently released by the State Department of Health and Mental Hygiene the number of statewide deadly overdoses increased by a whopping 66% from 2015 to 2016. This puts last year’s total number of deaths at 2,089, which is the highest ever and triple the amount from 2010. About one third of these deaths occurred in Baltimore City, with the majority of the others occurring in Baltimore and Anne Arundel counties. Prince George’s County and Montgomery County rounded out the top five of this unfortunate statistic. Only two jurisdictions, Cecil County and St. Mary’s County reported declines in the number of deadly overdoses from 2015 to 2016. The majority of victims were found with multiple drugs in their system, and not surprisingly the most common drugs present in the deceased were heroin and fentanyl. These two opioids have been public enemy number one in both urban and rural areas in the region for the last couple of years. The rise of fentanyl has been well documented but despite the awareness there are no signs that it even remotely close to being controlled. This deadly synthetic opioid, which is often mixed with or sold as heroin, contributed to over 1,100 Maryland deaths in 2016, up from 350 in 2015. Alcohol, which continues to get a pass in due to its deep roots in American culture, contributed to around 30% of the deaths and cocaine to around a quarter. Prescription opioids such as morphine and oxycodone that were once a leading cause of overdoses were just the fourth leading cause last year in the state. The Maryland State Police recently announced the indictments of 18 defendants in a large drug conspiracy that spanned numerous counties and stretched into Delaware. The investigation began last fall state when police investigators received information that a male suspect was involved in a drug trafficking ring operating out of Queen Anne’s County. Narcotics detectives had reason to believe that this particular suspect, who lived in Kent County, assisted in the importation and distribution of large amounts of opioids including oxycodone, fentanyl, morphine, methadone and heroin throughout the state. Further investigation also revealed this suspect’s alleged involvement with another Kent County man in cocaine trafficking. Both male suspects were self employed, which further peaked the interests of law enforcement officers about the possibility of ongoing money laundering. As the investigation progressed, police officers from numerous jurisdictions including Talbot County and Anne Arundel County coordinated their efforts to develop more suspects in the case. Delaware State Police, Natural Resources Police, and local departments from Chestertown and Centreville also assisted, and the culmination of this investigation occurred this past week with the announcement of 18 arrests from indictments in the Circuit Court for Queen Anne’s County. The two original suspects now face over 50 charges apiece, including multiple counts for conspiracy to distribute narcotics and CDS. According to the State Police report these two defendants allegedly conspired to import over 3.5 pounds of cocaine and 5000 pills, including 4000 of oxycodone and 50 pills each of morphine and fentanyl in just one 6-week period. 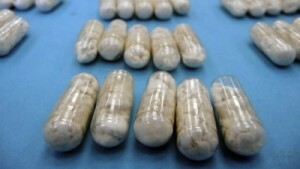 The street value of these drugs is estimated at $130,000. Oddly, neither defendant faces any felony charges on these indictments; Maryland law classifies all conspiracy crimes as common law misdemeanors. But despite being misdemeanors, many of these counts carry 20-year maximum penalties, which state prosecutors will undoubtedly use as leverage to during plea negotiations. The extraordinarily high bails, one being $250,000 and the other being $350,000 also reflect the severity of these charges. There does not appear to be any physical evidence directly attributed to the two main defendants at this time (hence the conspiracy charges), though law enforcement did execute numerous search and seizure warrants and recovered a great deal of contraband. All told, there were 14 firearms, hundreds of pills, crack cocaine, marijuana and almost $100,000 dollars in U.S. currency recovered. Police also seized 15 vehicles that may be kept and then auctioned under state forfeiture laws. The Blog will continue to follow this case as it progresses through the circuit court. It will be interesting to see whether there are any suppression issues raised in pre-trial proceedings, as it is unclear how police received all of their information. In any large-scale criminal investigation police often receive much of their intelligence from confidential informants, though CI’s alone will not suffice if the kingpins are careful. Prior coordinated law enforcement operations on the Eastern Shore have benefitted from the use of wiretap warrants, which could have sealed the fate of the defendants in this case. Lawmakers have made numerous attempts to curb the heroin epidemic in Maryland, and the governor has gone so far as to pronounce a state of emergency as overdose numbers continue to spike. Some Annapolis legislators considered passing a law that would allow the state to prosecute drug dealers under an enhanced 30-year jail penalty if their product caused a death, and we may see similar bills hit the state house floor in the future. State law enforcement is also joining in the fight, as Baltimore murder police are now beginning to investigate drug overdoses for potential links to dealers. 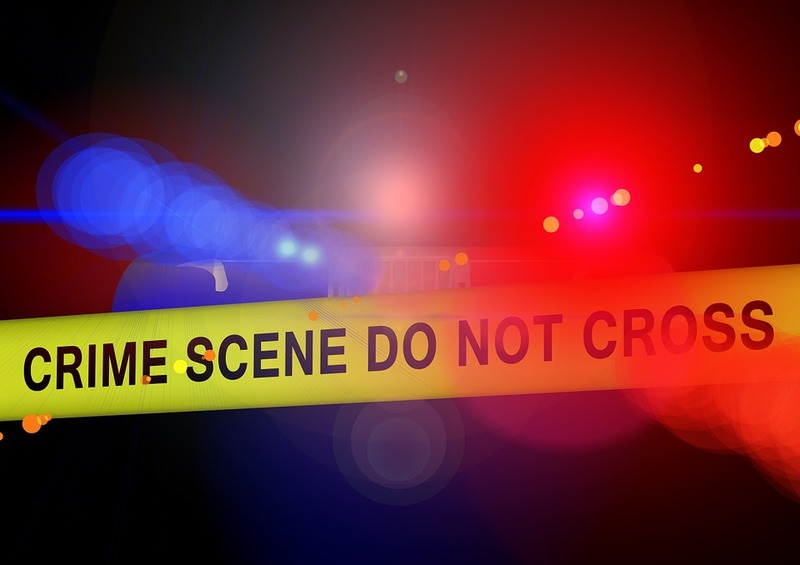 The city police commissioner recently announced that five detectives working out of the homicide department will respond to both fatal and non-fatal overdoses. Baltimore is not the first jurisdiction to seek criminal evidence at overdose scenes, as Harford County narcotics detectives have already been showing up with first responder medics for the last two years. The Harford County Sheriff’s Office though was forced to scale this initiative back, as the sheer amount of overdoses proved too tough to manage. State’s Attorney’s Offices around Maryland have also tried to do their part in furthering the agenda to combat the overdose epidemic. 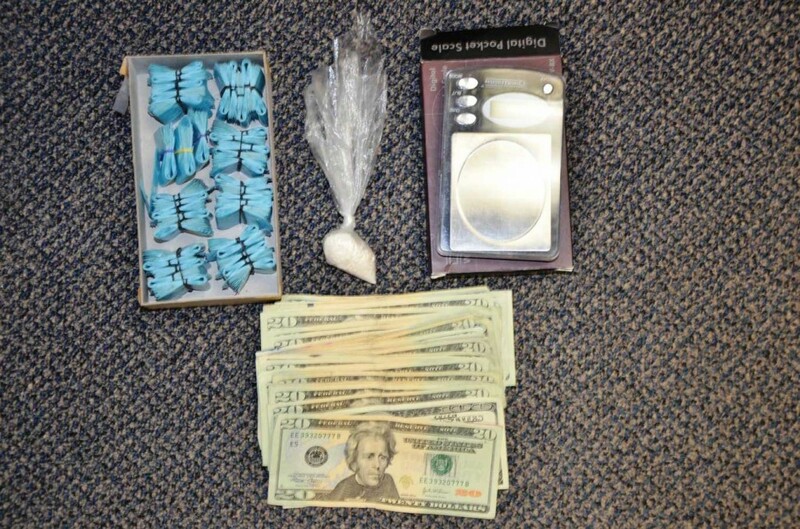 We previously posted about a defendant in Worcester County that was convicted and sentenced under state manslaughter law for selling heroin that ultimately resulted in a deadly overdose. Now another state prosecutor’s office has reported a manslaughter conviction in a CDS narcotics distribution case, and the defendant received the maximum penalty provided by the law. A Waldorf woman was just sentenced to 10 years in state prison in the Circuit Court for Charles County for selling fentanyl to man who later died of a drug overdose. The woman allegedly told the deceased buyer that her product was heroin when she knew that it was actually fentanyl, a far more powerful narcotic. This was reportedly the first time a defendant was convicted for manslaughter for selling drugs involved in an overdose in Charles County. The 34 year-old woman was also recently sentenced to 14 years in prison for another unrelated drug distribution charge, and was convicted and sentenced to probation on a third controlled dangerous substance case. Law enforcement and state prosecutors may continue to seek enhanced penalties for drug dealers whose buyers overdose, but the deterrent effect of these measures is tough gauge. Harford County made a legitimate effort to seek out and prosecute dealers by investigating overdoses, but after two years their fatal and non-fatal overdose numbers remain largely unchanged. Efforts in Baltimore City may suffer the same fate, as the heroin epidemic is not under control in Maryland or anywhere else in America for that matter. In response to the public outcry government officials such as lawmakers, police chiefs and state’s attorneys tend to take the easy way out by announcing new initiatives to target suppliers. But a press release or two about a dealer serving extra time in prison gives these officials a false sense of accomplishment. The overdose numbers are not decreasing, and rather than targeting the endless supply of small time dealers officials should focus more on education, treatment and perhaps safe zones for users. While legalization and strict regulation of heroin would eliminate the type of street overdoses in the Worcester and Charles County cases, this is not a realistic solution at this point in time. The fact that legalization does not even warrant serious discussion is unfortunate, but there will come a time when government officials will have no choice but to consider it. 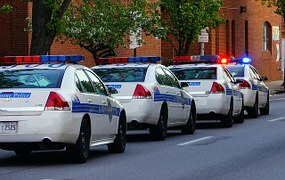 The U.S. Attorney recently announced that seven Baltimore City police officers have been indicted on numerous felony charges, and the fallout has already extended beyond the cops’ alleged criminal acts. A federal grand jury returned the indictment back in February, but it was sealed until agents had the opportunity to execute search and arrest warrants. All seven have been arrested and remain in custody after a judge denied bail pending trial. While bail is typically granted for a defendant with no prior criminal record that is not facing a capital offense or violent life felony, prosecutors made the argument that these defendants, who served on the gun trace task force together, were especially dangerous to the public and possessed unique training that would make them flight risks. Defense lawyers for the accused countered by arguing that the charges were blown out of proportion, but the federal magistrate judge was not convinced and stated that no conditions of bail or supervised release would be enough to protect the public. The charges returned by the grand jury were numerous, and included offenses such as wire fraud, robbery, conspiracy and extortion by a state or government employee. These charges were bundled in one racketeering indictment, which alleged the defendants stole money and drugs from civilians they detained or arrested and submitted fraudulent overtime reports. One of the defendants also allegedly posed as federal prosecutor in order to get more information out of a victim, which the officers subsequently burglarized and stole $20,000 from. Six of the defendants were also charged in a separate seven-count indictment for drug charges including conspiracy to distribute heroin and cocaine, and officer is charged with distribution of heroin resulting in death. All seven of the accused officers face up to 20 years in prison for the racketeering and conspiracy charges. The six defendants in the drug indictment face even more exposure as antiquated federal drug laws still provide harsher punishments for those that sell drugs than for those that rob, steal from or assault others. Three defendants face conspiracy to distribute more than a kilogram of heroin, which carries a maximum penalty of life in prison with a 10-year mandatory minimum sentence. The other three are charged with selling slightly less heroin, but still face up to 40 years with a 5-year mandatory minimum. One of the soon to be ex cops faces an additional 20 years in jail for distributing heroin that results in death. Lawmakers are set to debate at least two new bills in the coming weeks aimed at combating skyrocketing narcotic overdose numbers. The first bill, which was introduced by delegates from Harford County and Anne Arundel County, would add a separate crime to the books targeting distributors of heroin and fentanyl. If House Bill 612 becomes law it would punish those found guilty of supplying the heroin or fentanyl that results in a deadly overdose. As it stands now the law would carry a 30-year maximum prison sentence, which could be imposed in addition to a sentence for drug distribution. 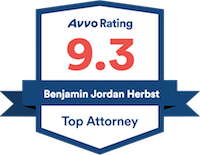 There is an immunity clause within the statute that would apply to anyone who provides assistance for a person who is experiencing a medical emergency after using these two dangerous drugs. Any information given to medical providers by a person that supplied the heroin or fentanyl would be inadmissible, which in theory would serve to dissuade those from failing to render aid to an overdose victim out of fear of prosecution. This new law could be effective provided that the law enforcement and state and local health officials get the word out about its existence. It may cause some drug dealers to think twice about selling heroin or fentanyl, which would be a win for lawmakers. As a practical matter though, the law probably would not have much of an effect in the courtroom. A person who is arrested for supplying illegal drugs that result in a deadly overdose already faces a 20-year maximum penalty for distribution of narcotics. And a judge would certainly take into account the fact that someone died as a result of the defendant’s conduct, making a lengthy prison sentence likely even without the new law. In addition, a state’s attorney could elect to charge the dealer with manslaughter and or reckless endangerment, which is a general crime that is defined as engaging in conduct that causes a substantial risk of death or serious injury to another. Manslaughter carries a 10-year maximum penalty while reckless endangerment carries 5 years, and these sentences could be consecutive to any sentence for drug distribution. Some jurisdictions such as Worcester County have already tried and convicted drug dealers for manslaughter, but House Bill 612 would achieve the same purpose while presenting less of a challenge to prosecutors. 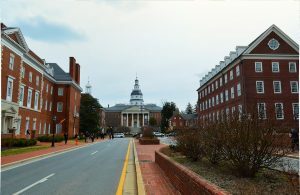 In the coming weeks we may also see a law hit the State House floor in Annapolis that would limit narcotics prescriptions to a seven-day supply. There would definitely be exceptions for patients experiencing severe symptoms from certain terminal and long-term illnesses, and there may be other exceptions as well. This proposal, which came from the governor’s office, aims to limit the excess amount of prescription narcotics on the streets. 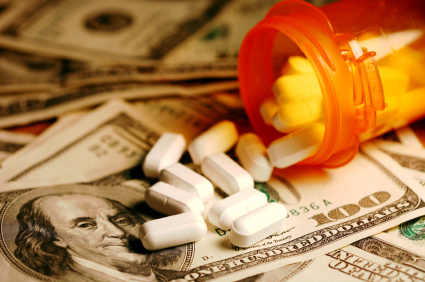 Patients suffering from chronic pain are able to easily secure prescriptions for hundreds of narcotic pills per month, and many illegally sell some of their supply in order to fund their addiction. Others simply have a hard time keeping track of their medications and become victims to thefts by burglars, home workers, houseguests and even family members. Maryland would not be the first state to pass a law restricting opioid prescriptions, as at least seven other states already have strict laws on their books. The Blog will continue to follow the progress of these two proposals, and we may post a follow up article in the coming weeks, so stay tuned. Baltimore Police made fewer arrests in 2016 than in 2015 and homicide numbers were slightly lower, but think twice before assuming the city was a safer place last year. The reality is that despite a 7 percent decrease in total arrests and 26 fewer murders, Baltimore was actually more dangerous in 2016 than any year in recent memory. Last year saw a staggering number of shootings in a city with a steadily declining population. All told the police department reported 936 shootings at year’s end, a number that came in just 60 shy of New York City’s number of shootings. The catch being that NYC has 14 times the population of Baltimore. About 1 out of every three shootings ended up being deadly, which kept the homicide number above 300 for the second year in a row and placed Baltimore among the most deadly cities in America for gun violence in 2015. Another statistic to ponder is the 39 percent clearance (case closed by arrest) rate for Baltimore murders. The 39 percent clearance rate is one of the lowest in the country, but thankfully is up from 31 percent in 2015. 86 percent of people shot last year ended up dying from their injuries. This number appears to be higher than most other urban areas in the country due to the popularity of larger caliber firearms, and the frightening trend of Baltimore shooters using more bullets and firing their weapons from closer range. Over half of the deadly shootings in 2016 occurred on city streets and public places such as parks, which has devastating consequences for many innocent bystanders. 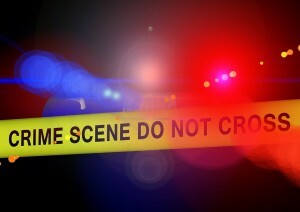 Just over 10 percent of homicide victims were killed in their cars and a similar number were in their homes. Most victims were males between the ages of 18 and 24. In addition to shootings skyrocketing, drug overdoses are approaching historic levels. This is a trend throughout most of Maryland, but Baltimore is the epicenter. Full year-end statistics for 2016 drug overdoses are not available yet, but as of October 1 there were 481 overdoses compared to 291 for the first 9 months of 2015. Heroin is responsible for a large percentage of these deadly overdoses, though the infusion of fentanyl on the streets may be playing an increased role as well. 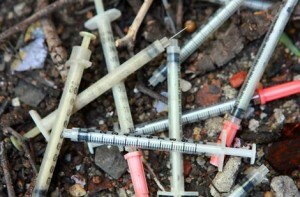 It is estimated that over 20,000 people in Baltimore use heroin, which is over 3 percent of the population. Other areas within Maryland that saw large increases in drug overdoses include Anne Arundel County, Baltimore County, Harford County and Howard County. As we mentioned in a previous post, health and law enforcement officials in less populated areas such as Bel Air face the same concerns as those in the city. More heroin users and an influx of powerful new drugs such as fentanyl will continue to rock the smaller communities and urban areas alike. The Blog will continue to follow the crime and drug overdose statistics from 2016 as new data is made public, and we may post a follow up article in the near future so stay tuned. 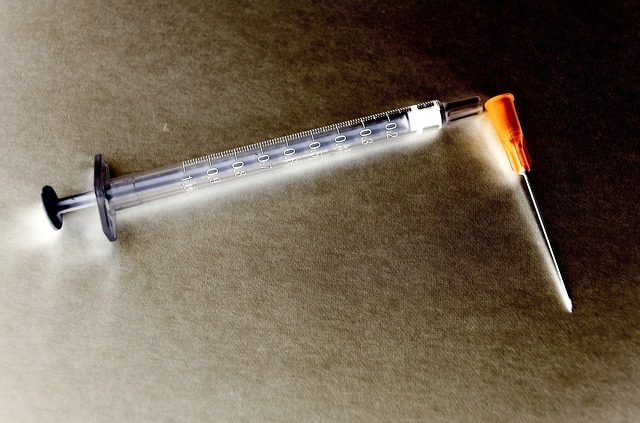 Officials reported five heroin overdose deaths during this past holiday week in Harford County, where the overdose rate has hit a staggering one case per week. Like other counties in Maryland, Harford County is on pace to double its number of overdoses from last year. But as state health officials and law enforcement scramble to combat the heroin epidemic there is a new threat looming that could end up being exponentially more deadly. In previous posts we have mentioned the increased street presence of fentanyl, a powerful synthetic opioid that is 50 times more potent than heroin and an estimated 100 times stronger than morphine. Fentanyl became popular in the form of skin patches to treat severe localized pain. It didn’t take long for users to figure out that if the drug was removed from the patches it could be injected for a much stronger high, and dealers later learned that the relatively cheap fentanyl could be mixed with their heroin. Infusing small amounts of fentanyl allowed the dealers to maintain the strength of their product even when using a larger portion of cheap cutting agents. Mixing fentanyl with heroin creates a powerful and unpredictable effect on the user, and it has been the cause of hundreds of overdose deaths when mixed or injected on its own. Government officials are now beginning to take measures to combat fentanyl use, but just as they catch up on fentanyl there is a new synthetic opioid hitting the streets that is far more powerful. In September the DEA issued a warning to the public and law enforcement about a relatively new substance named carfentanil, which was designed to tranquilize elephants and other large animals. Carfentanil showed its ugly face on the streets for the first time just months ago, and now officials are worried that its arrival in Maryland could spike overdose deaths to unthinkable levels. The concern about this particular synthetic opioid is its potency, which is estimated to be 100 times more powerful than fentanyl and 10,000 times more powerful than morphine. Carfentanil has already contributed to overdose deaths in Vancouver, and it has been discovered on U.S. streets as well. Law enforcement suspects that the drug fell into the hands of dealers by way of China, where it can allegedly be ordered online in a powder form. The powder is so potent that even handling it without gloves or a mask could trigger an overdose. Another frightening reality is that carfentanil overdoses could be deadly even if treated the anti-overdose drug naloxone. It some cases it could take as much as six times the normal dosage of naloxone to reverse a carfentanil overdose, an amount that may not be readily available to first responders and police officers. This past week the Governor’s Office in Annapolis announced that $3 million in state funds would be dedicated toward fighting the heroin epidemic in Maryland. Nearly a third of that money will provide funding for newly assigned heroin coordinators in law enforcement agencies across all regions of the state. The other $2 million plus will continue to fund the Safe Streets Initiative, a criminal offender based information sharing system that debuted in Anne Arundel County in 2008, and later expanded to Salisbury in 2010. There are now nine jurisdictions taking part in the initiative, which will receive tax dollars specifically dedicated toward the treatment and recovery of drug offenders. Five of the safe streets jurisdictions will acquire funds to hire peer recovery specialists. The increased funding and the hiring of treatment specialists fall in line with the recommendations of the Heroin & Opioid Emergency Task Force, an initiative championed by Governor Larry Hogan. The governor has taken a hardline stance on the heroin epidemic in Maryland since being elected, and one of his first moves was to sign an executive order establishing the task force back in January of 2015. The eleven-member task force released 33 recommendations this past December, and now state officials are mobilizing to make these recommendations reality. In addition to expanding treatment and recovery options, the funds will also support the designation of the Baltimore-Washington High Intensity Drug Trafficking Area as the epicenter of the war on heroin. All drug related intelligence gathered by law enforcement around the state will flow through the metro area headquarters where it will be indexed and analyzed. In theory this will facilitate the tracking and eventual arrest of suspected drug traffickers and street level dealers. It remains to be seen whether the money would be better spend by simply hiring more qualified police officers, and encouraging them to communicate with other departments. The governor’s war on heroin certainly creates buzz and headlines, and gives the impression that the state is at least trying to curb the heroin epidemic. But there are still far more headlines about drug overdoses and drug busts. Just days ago a man died from an apparent drug overdose at a Worcester County hospital after being taken into custody by Ocean City police. He was arrested on CDS possession with intent to distribute charges after police located 1,500 packets of heroin in his vehicle. Headlines like these have become so commonplace that it seems like the state’s war on heroin is going in the wrong direction. And as the federal government can attest to, the war on drugs is simply a never ending battle, and adding more cops and making more arrests is arguably not the correct path to victory. It could be even be argued that arresting drug dealers just keeps the price of heroin high, thus making it more attractive for others to start dealing.